Britt insists the baby isn’t Patrick’s, and he demands to know the real father&apos;s identity. He also wonders when she had time to sleep with someone. Britt mentions she didn’t sleep with the father, and Patrick realizes she used a sperm donor. Again, he insists on knowing who is the baby&apos;s father. Britt admits Brad was the sperm donor. Dante and Lulu have a bone to pick with Maxie about trying to breastfeed the baby. Maxie confesses to trying to feed the baby, and Lulu reminds her the baby isn’t hers. She stresses the baby is going home with her and Dante. Dante wants Maxie to stay away from the baby, which upsets Maxie. Everyone is anxiously waiting for Silas to arrive with Derek’s test results. 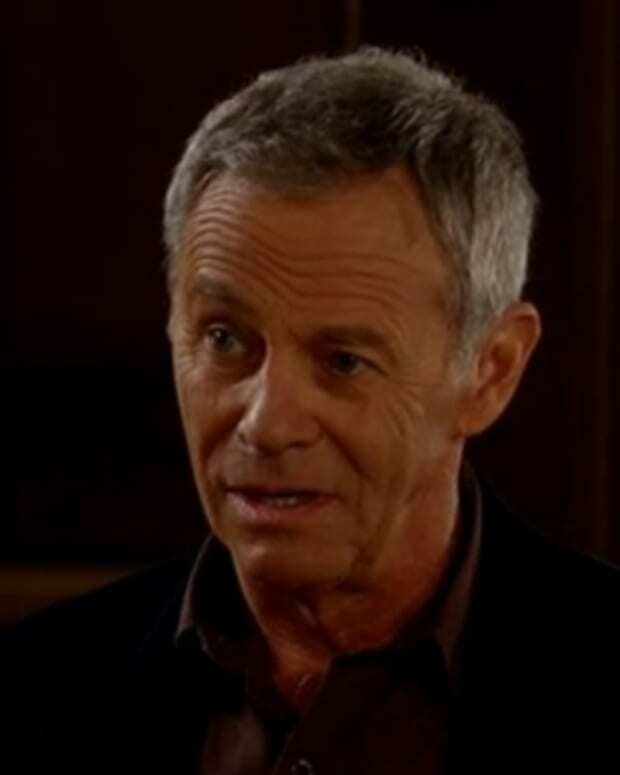 When he finally does show up, Silas informs them everything is good to go, and explains how the transplant will happen. Sam and Alexis are thrilled. When Kiki gets home from the station, Morgan shows her the gun he found in the bushes. He wants to call the police. Kiki tells him not to, because it will hurt Michael. However, Morgan doesn&apos;t care about Michael&apos;s feelings, and reminds Kiki a woman died because of the gun. Michael tells Anna he doesn’t think this new and improved AJ is capable of murder. Diane assures AJ the police are grasping at straws, since there is no murder weapon. Diane hears Anna tell Michael she can’t let AJ go, but Diane points out Anna doesn’t have anything to hold AJ. Anna tells her AJ had means, motive and opportunity. 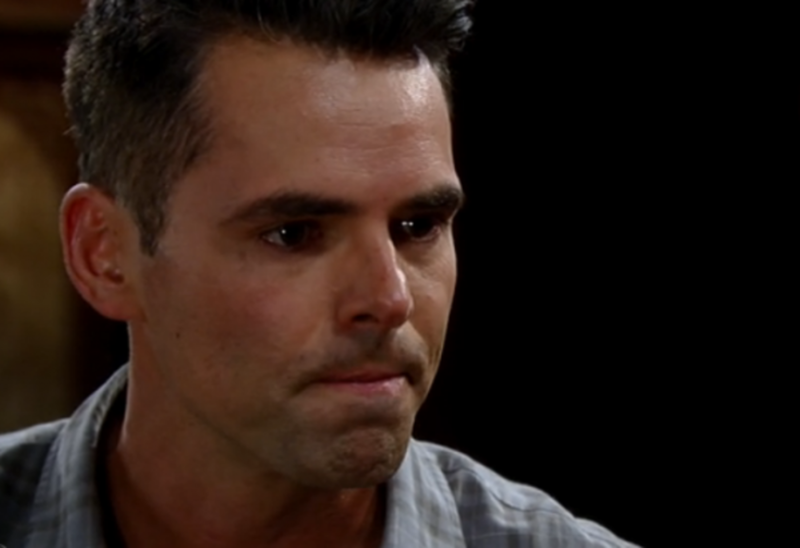 Felix accuses Brad of messing with the paternity results, which Brad denies. He talks of being in love with Felix, and wanting to be his boyfriend. Felix calls Brad a jerk, and in turn, he complains about being bullied as a kid. He didn’t want to tip his hand to Felix about his feelings. Brad wants Felix to give him a chance. Anna tells Diane that Morgan found the gun on the property. Diane asks AJ again if he remembers firing the gun, but AJ doesn’t. Maxie begs Lante not to cut her out of the baby’s life. Lulu warns Maxie not to make her choose between their friendship and her daughter. Lulu explains she needs all her friends right now because Luke is sick and may be dying. Spinelli appears to be close to telling the truth, but then changes his mind at the last second. He agrees with Dante and Lulu that Maxie needs to back off, because she’s developed an unhealthy attachment. Spin vows to be there to help Maxie. Lulu feels this is best for everyone. Once Lante leave, Maxie demands to know why Spinelli didn’t tell them the truth. He admits there was no way he could take the baby away, when Lante have already bonded with her. Spinelli tells Maxie she’ll have to learn to live without her child. Morgan shows Anna the gun, and she asks him to come down to the station to give a full report. She tells Kiki to do the same, and mentions Kiki being at the station earlier. Morgan questions why Kiki was at the station, and she admits she went to see Michael. Morgan reminds Kiki she’s his wife and not Michael’s. Morgan suggests she start acting like his wife. Patrick wonders how Britt would have passed Brad&apos;s baby off as his. Britt explains she had an arrangement with Brad, in exchange for his promotion. Patrick’s angry she let him believe he was having a son, and used the baby to try to get him to love her. Patrick grabs Britt’s arm, as Nik arrives and warns Patrick to back off. After Patrick storms out, Britt admits she told Patrick the truth and he became infuriated. Sam is grateful to Derek and wishes she could repay him. She was worried she would outlive her son, and feels Derek doesn’t know how much this means to her. Derek tells her to take care of Danny, and let him be their friend. The two share a hug. Sam thanks Silas for all of his help, and credits him with everything. They hug, and then kiss. Patrick finds Brad with Felix, and punches him in the face. Anna gets back to the station and tells Diane and AJ the serial number on the gun matched Tracy’s missing gun. Also, the caliber is the same as the bullet they took out of Connie&apos;s body. Diane believes there is no way to tie the gun to AJ, but Anna tells her the prints taken from the gun match AJ&apos;s. Anna places him under arrest.